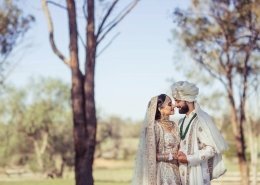 When we first came across delightful Sydney couple, Tia and Gagan’s wedding photographs and videos on Instagram, we loved their spirit and energy, so much to the point that we were the ones to reach out to them for a wedding feature. 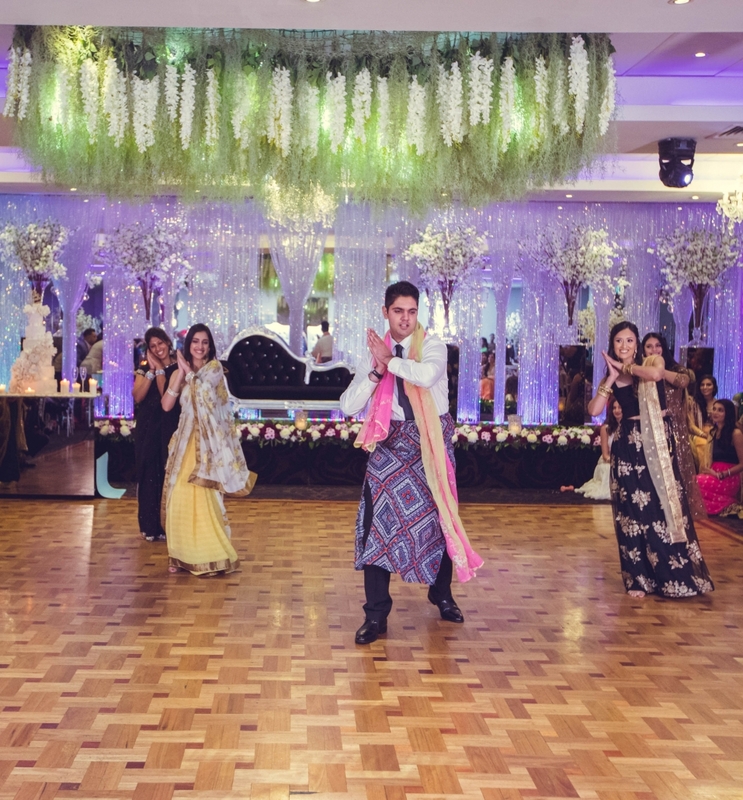 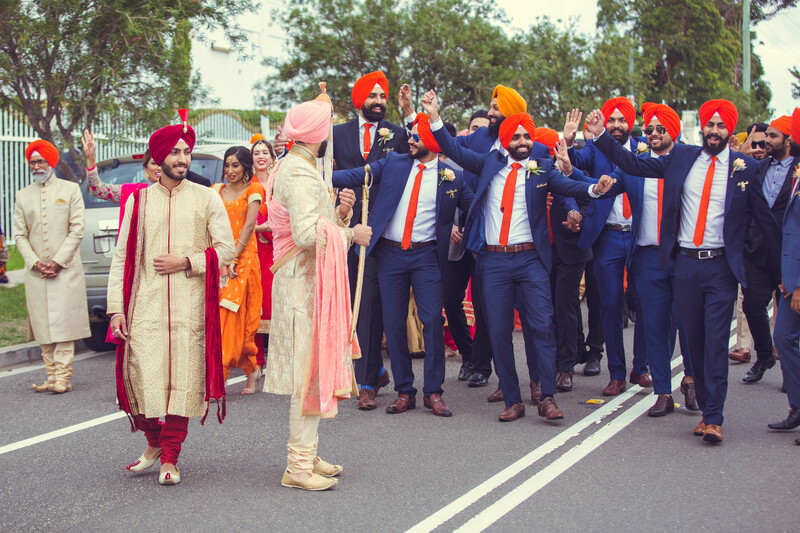 Their weeklong celebration was certainly the talk of the town with an epic sangeet, traditional and colourful Sikh wedding ceremony, followed by a grand reception, all held in the suburbs of Sydney. 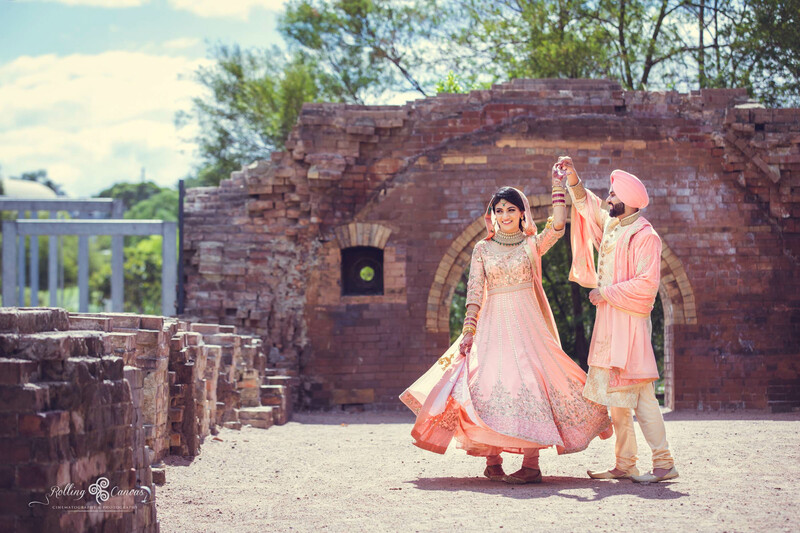 Tia and Gagan first met each other during Bhangra practice over 8 years ago and as they say the rest was history. 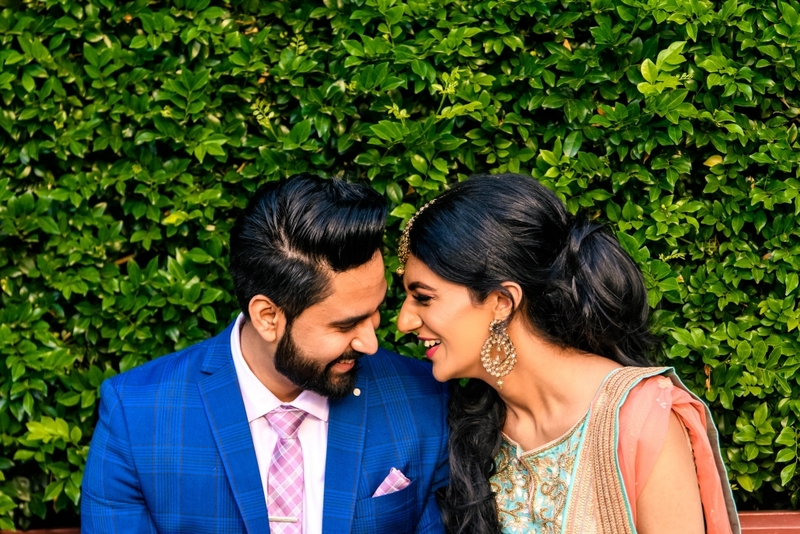 It’s no secret that this fun loving couple was made for each other. 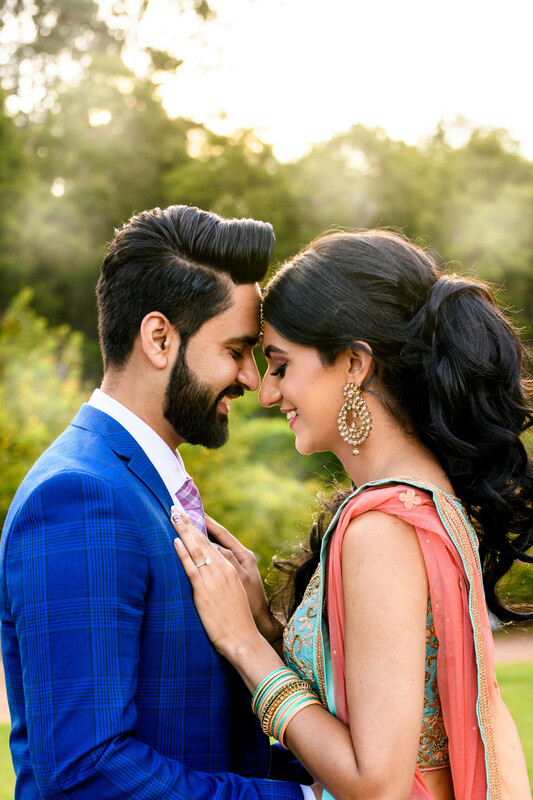 Just watch their engagement announcement video for proof! 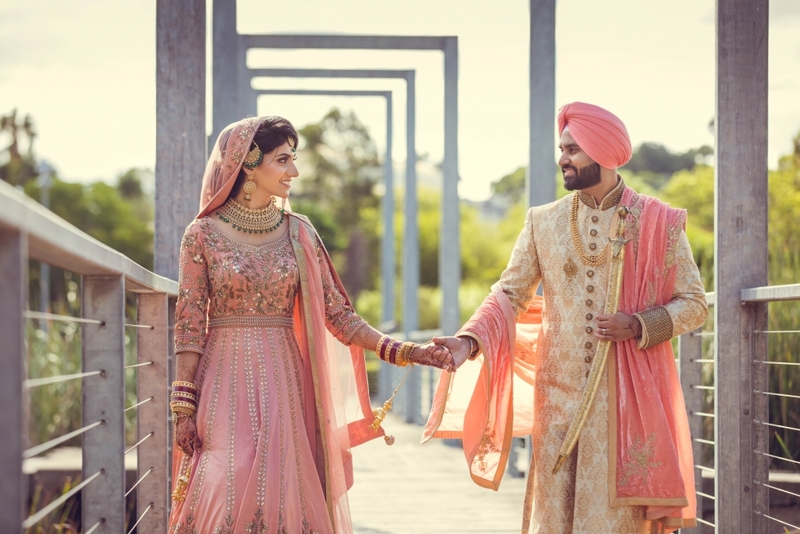 Both Tia and Gagan looked like a real-life Bollywood celeb couple at all occasions and we cannot wait for you to check out their galleries below for inspiration for your own wedding day! 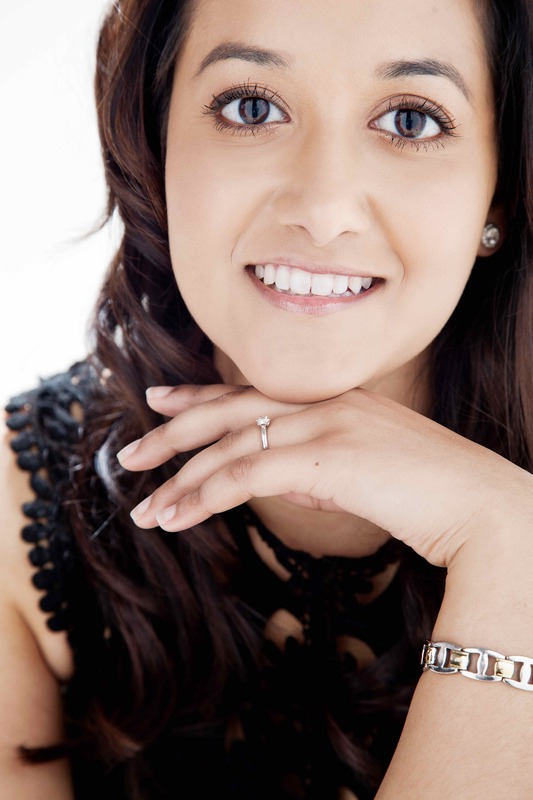 Tia shares all the details below. 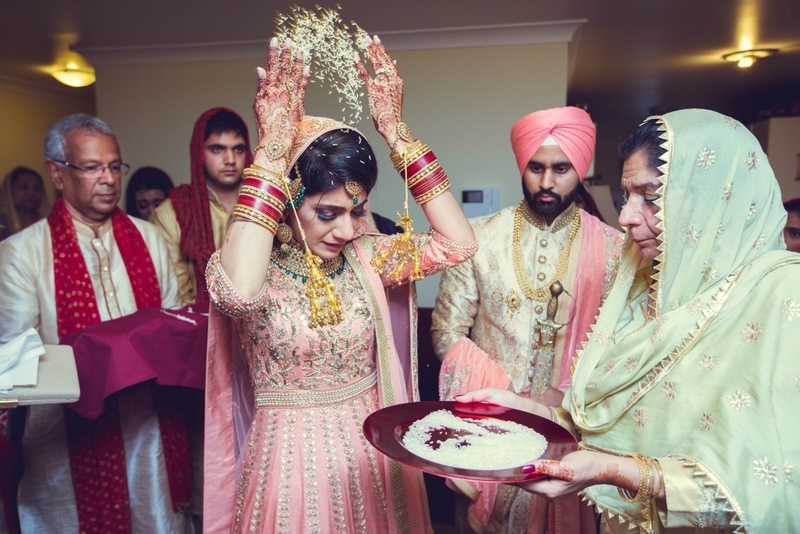 Forgive us for not thinking that this is the classic Bollywood love story tale, but it goes something like this. 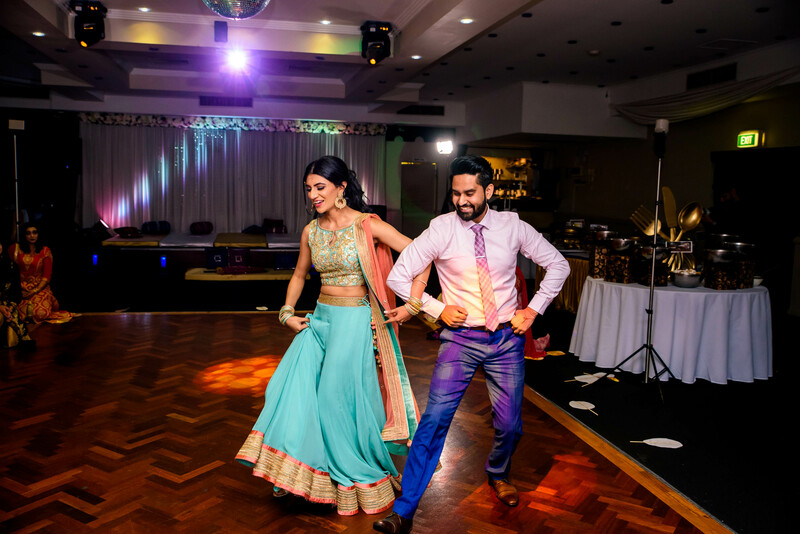 Tia and Gagan began wedding planning mid-2017 after announcing their engagement in style, by creating a custom mix of Bhangra tunes to reflect the story of how they met. 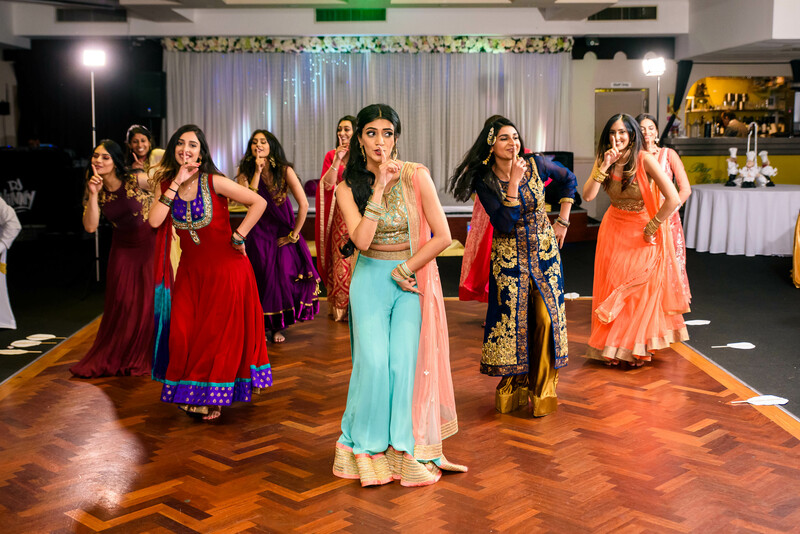 They marked the occasion to family and friends with a choreographed routine and had the video produced professionally. 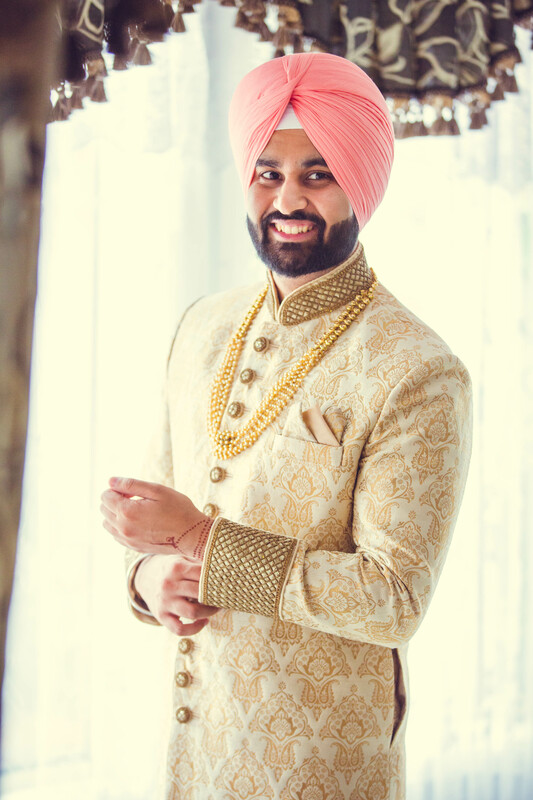 Gagan was every bit the dashing groom and made the proposal feel extra special for Tia. 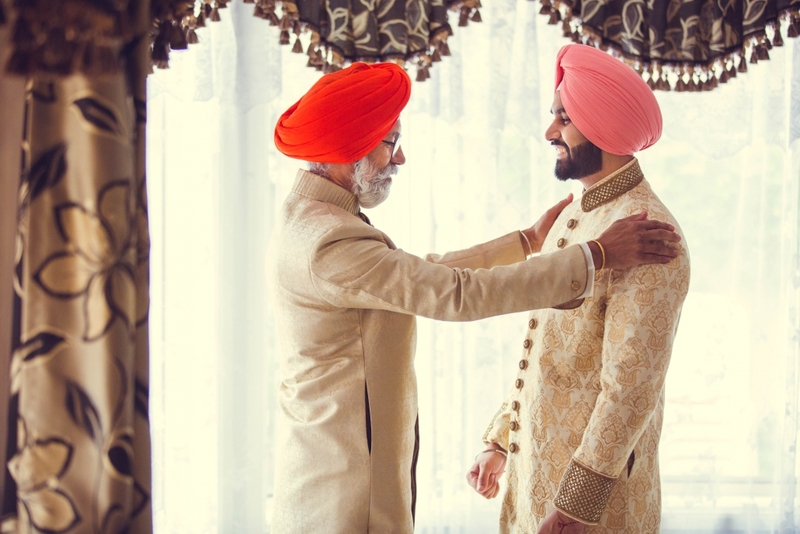 “A few months after our traditional ceremony, Gagan told me that he wanted to accompany me to his work Christmas party. 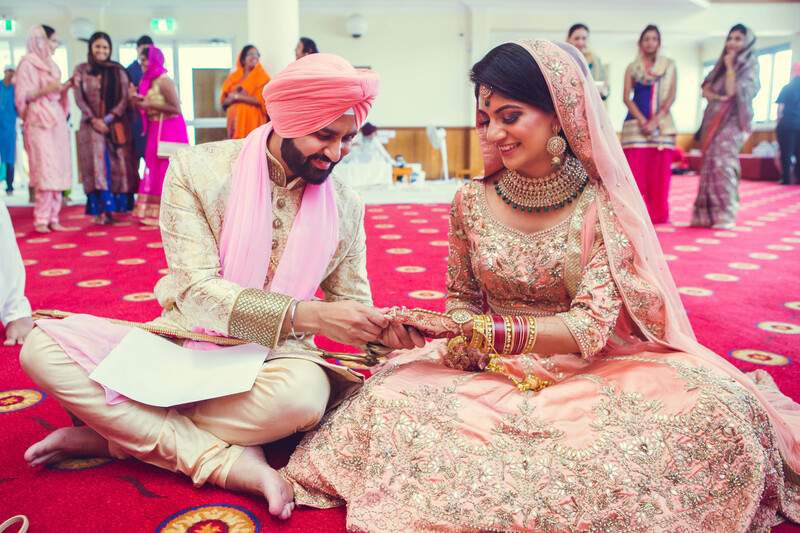 That evening, he had gifted me a ‘promise’ ring as he stated that there were some delays with the official engagement ring. 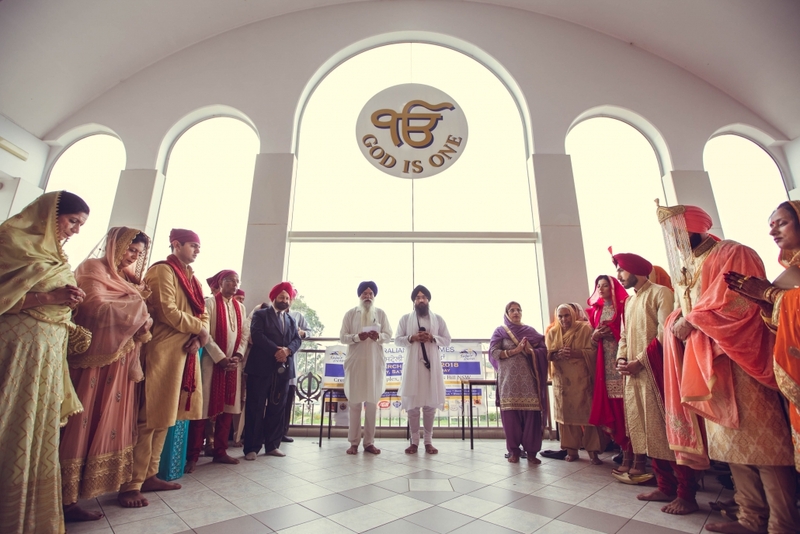 In true gentleman style, Gagan got down on bended knee and proposed in front of a giant illuminated “Marry Me” sign. 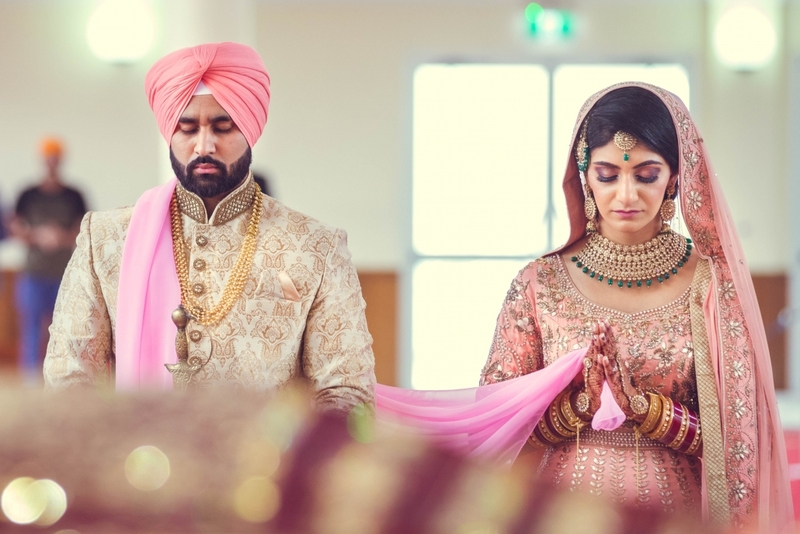 Tia and Gagan’s wedding was personalised, reflecting all aspects of their relationship and that meant including their family and friends in everything. 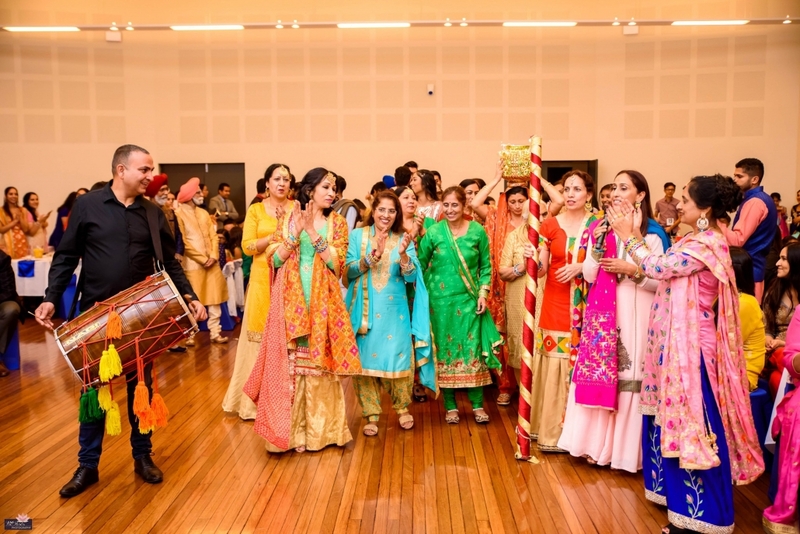 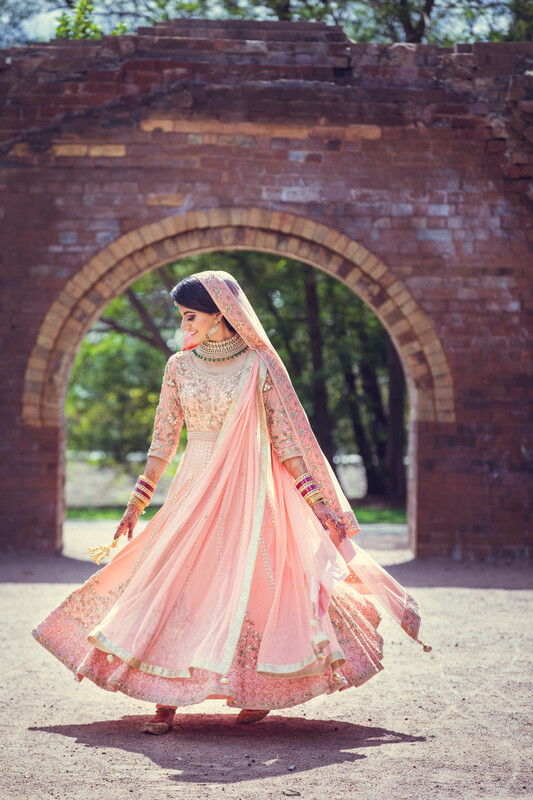 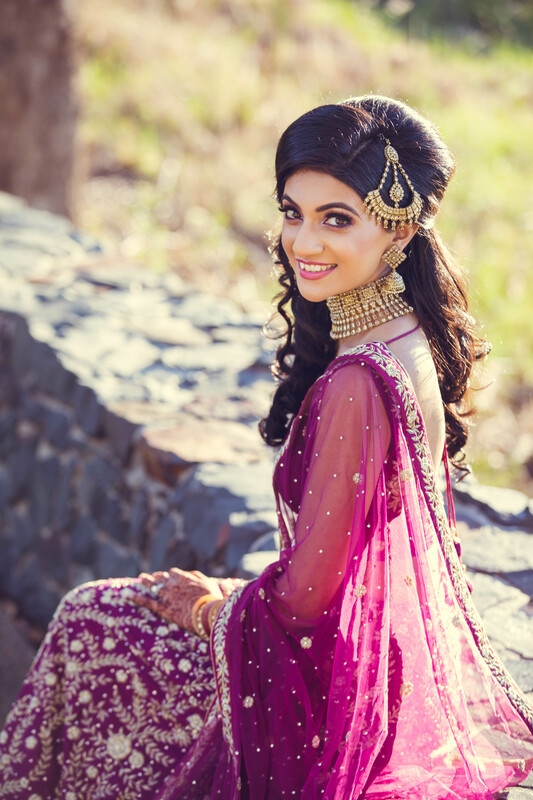 Their wedding was held in March of 2018 at the Parklea Gurudwara in the western suburbs of Sydney. 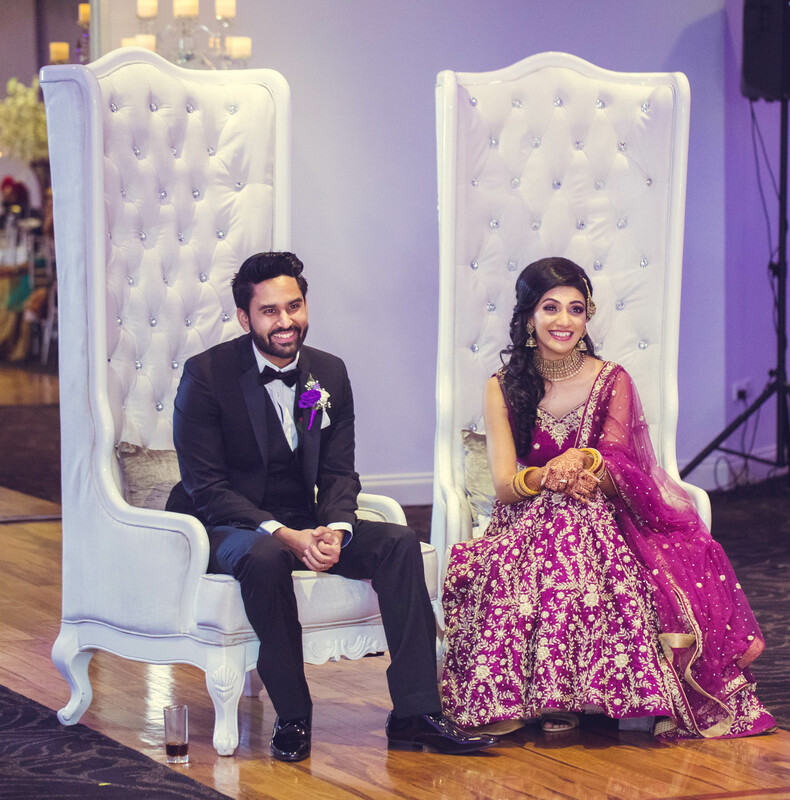 The couple had been together for 7 years before tying the knot and wanted the wedding to be a celebration of their relationship thus far. 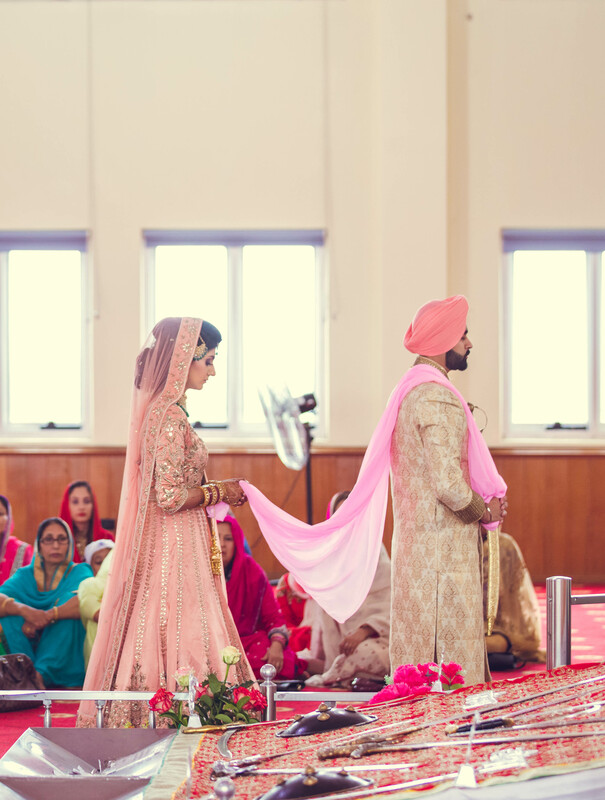 Traditions and values were equally important for the couple. 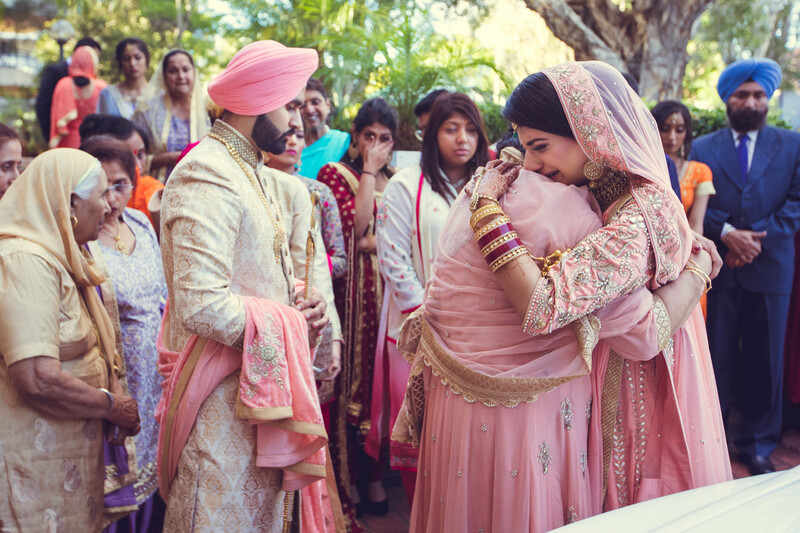 Both families were supportive by guiding Tia and Gagan throughout the entire wedding journey. 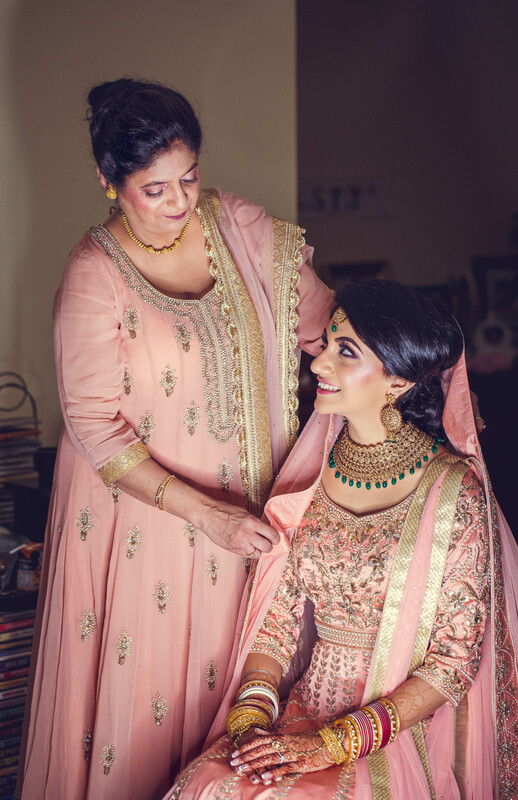 Tia had nothing but high praise for her mother who was instrumental in keeping things on track. 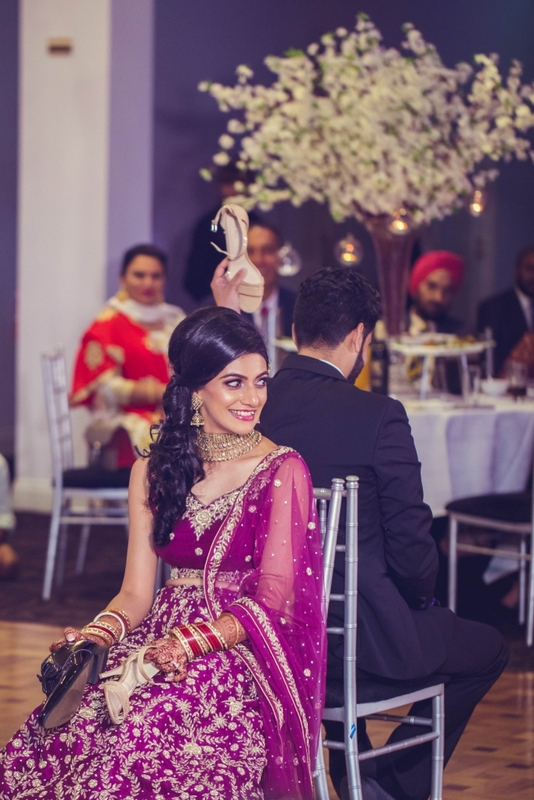 She was also extremely grateful for everyone involved, from the vendors to friends and everyone else who helped tie everything together to make their wedding so memorable. 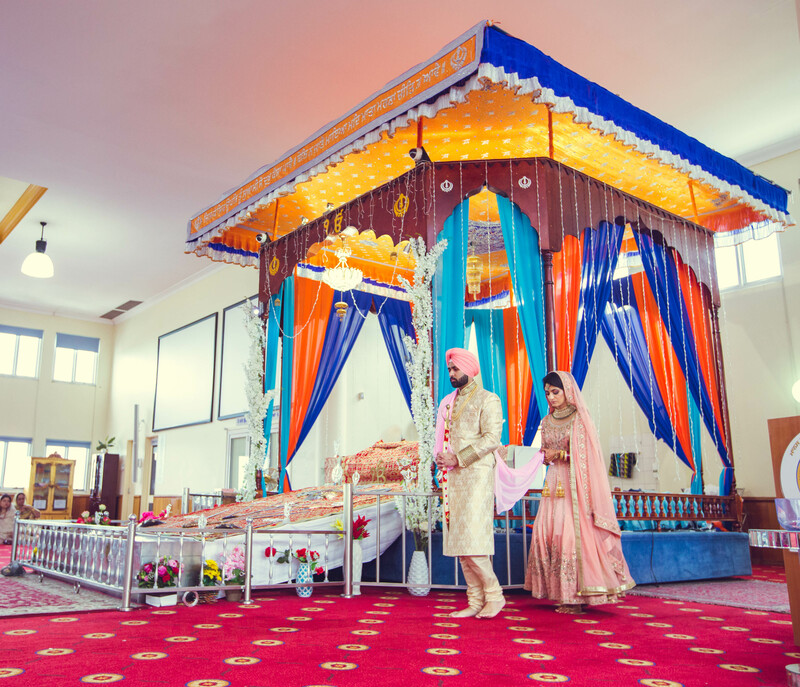 Tia and Gagan’s colourful wedding had so many memorable moments including a McDonalds run! 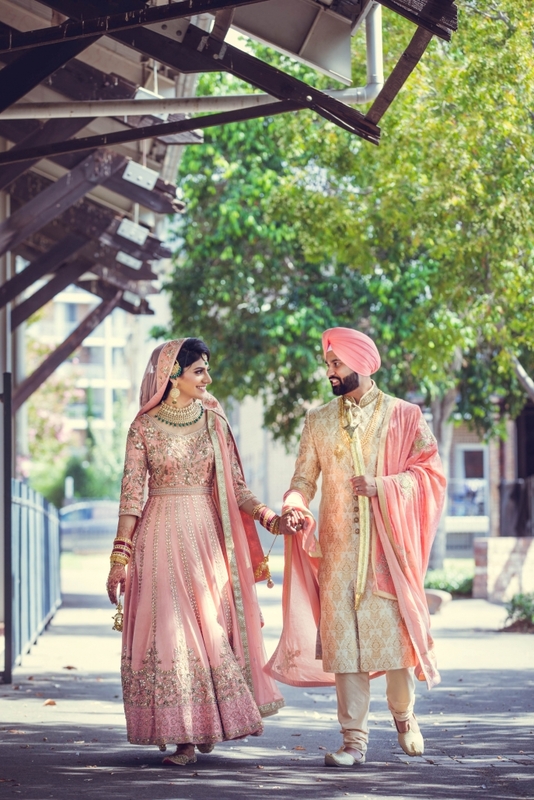 This stylish couple knew what they wanted from the outset. 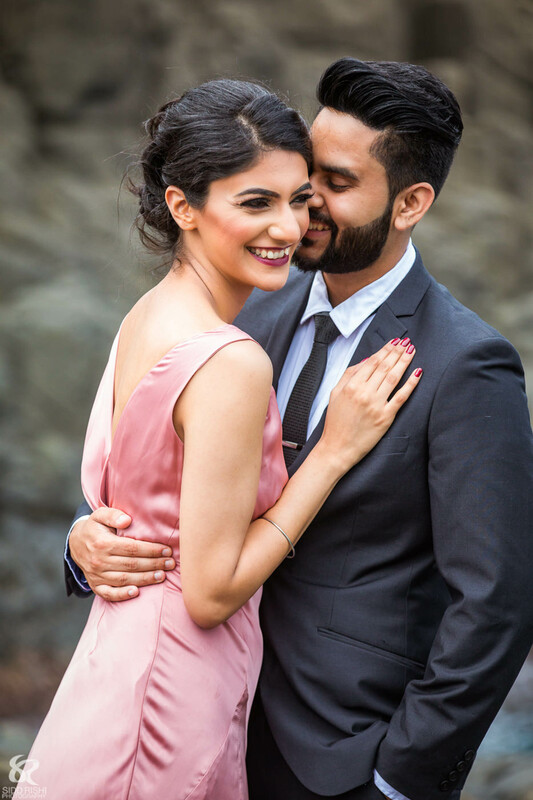 Through the guidance of their family members and via Instagram and Pinterest, Tia and Gagan spent a few months sourcing fashion designers to help them achieve their vision. 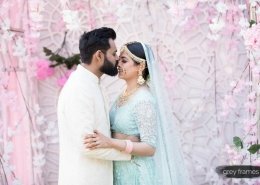 In the end, they specify that it came down to trust. 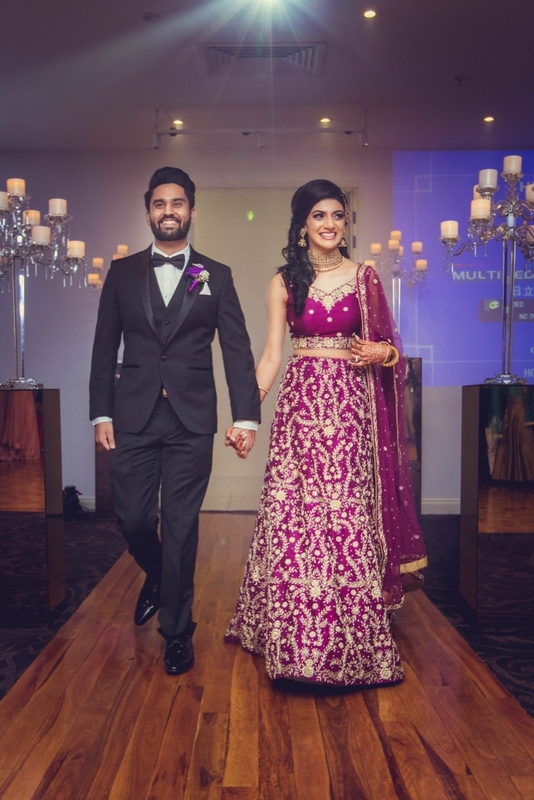 The shopping experience was quite smooth with both of them opting for online and local designers. 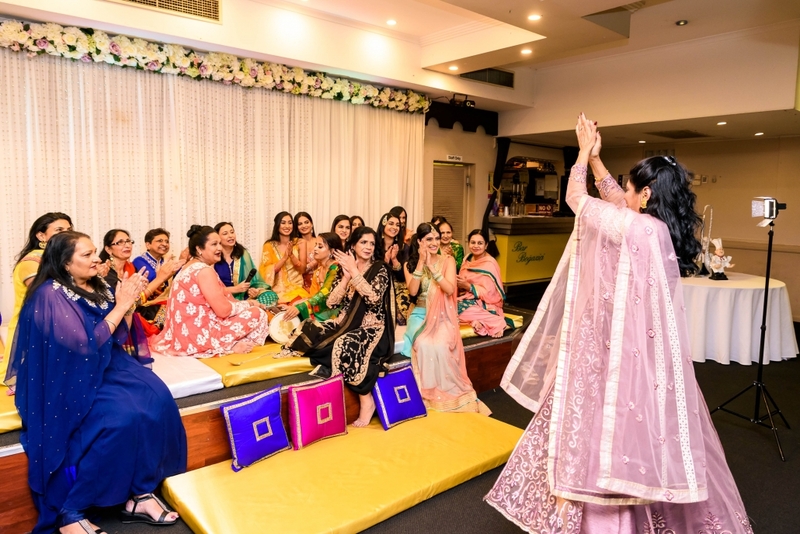 Tia explains that her trousseau was created over the span of a few months as opposed to Gagan’s, which was done through the click of a mouse and a Skype call with the store in India. 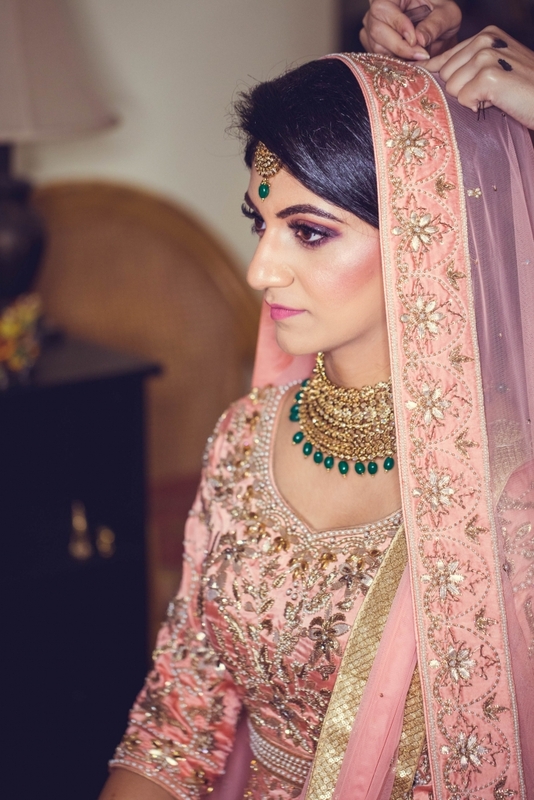 Tia also ordered her custom-made jewellery pieces online and she was more than impressed. 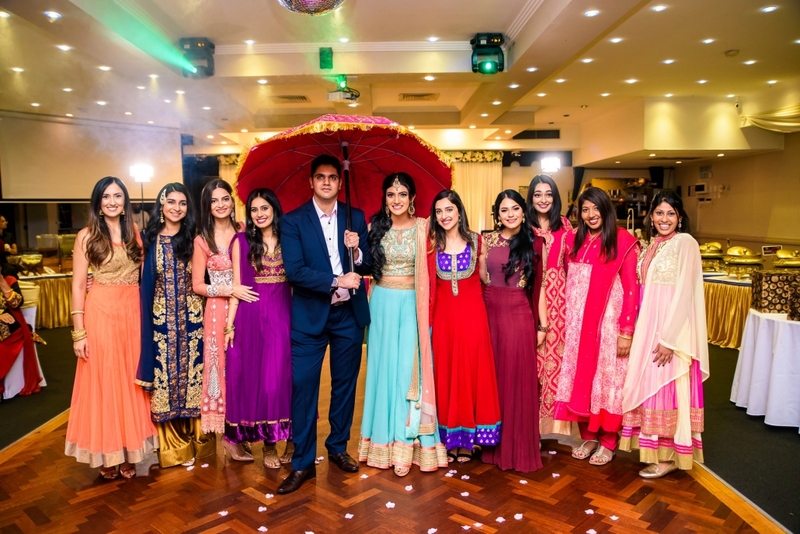 The bridal party were all dressed to the nines in matching outfits. 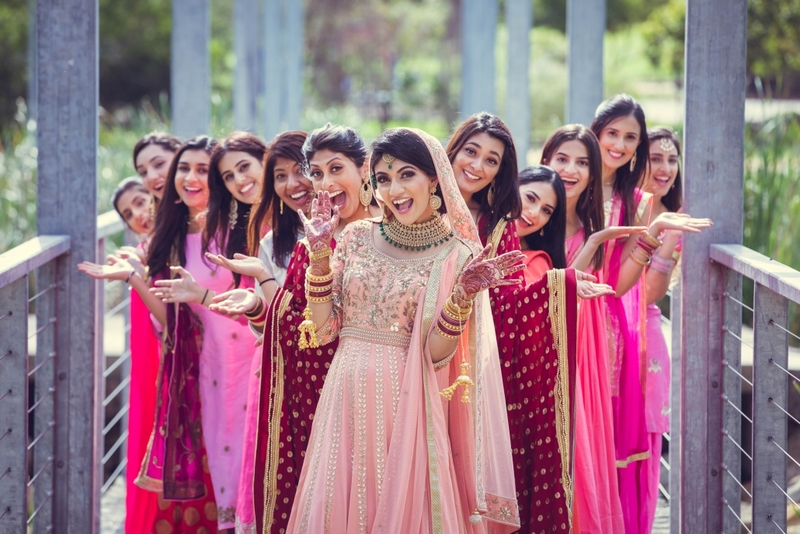 “I had two bridesmaids in matching outfits, and then a tribe of about 8 to 10 of my closest friends. 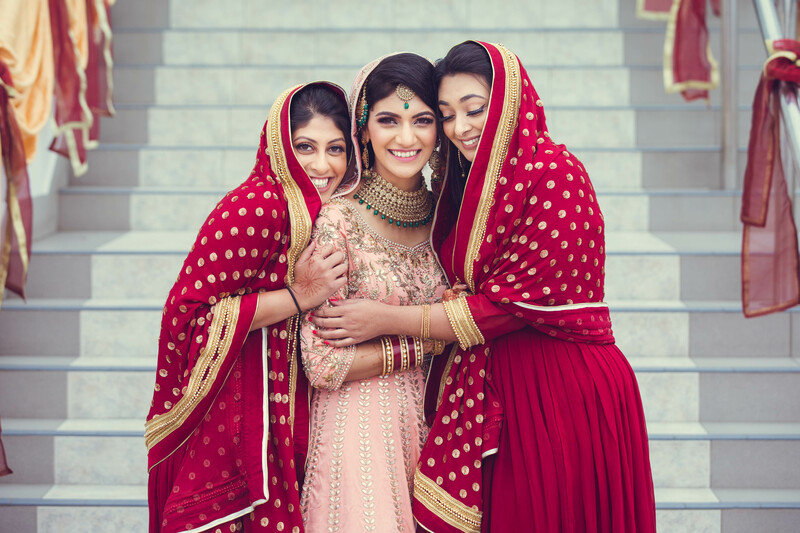 It was absolutely incredible having those girls by my side as they went above and beyond to make me feel so special and provide me with the love and support and strength. 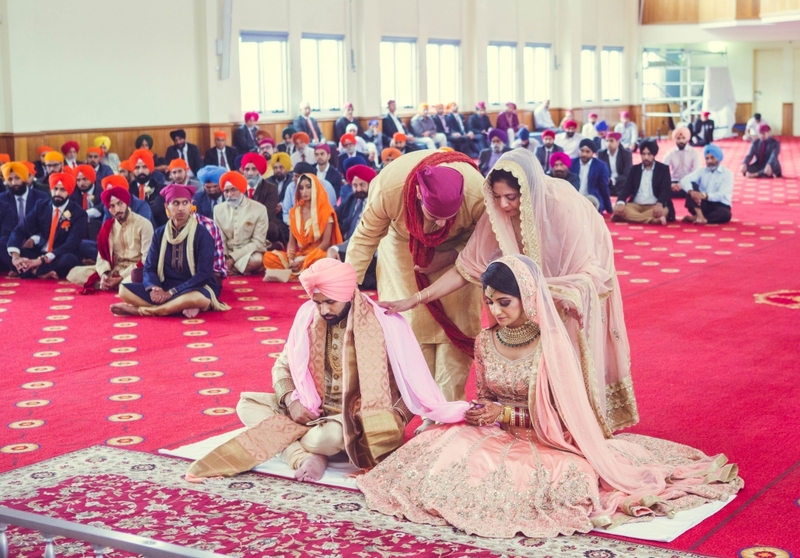 On the wedding day my bridesmaids wore maroon, which was a nod to my late grandfather’s favourite turban colour and it also tied in well with the colour scheme of the Gurudwara. 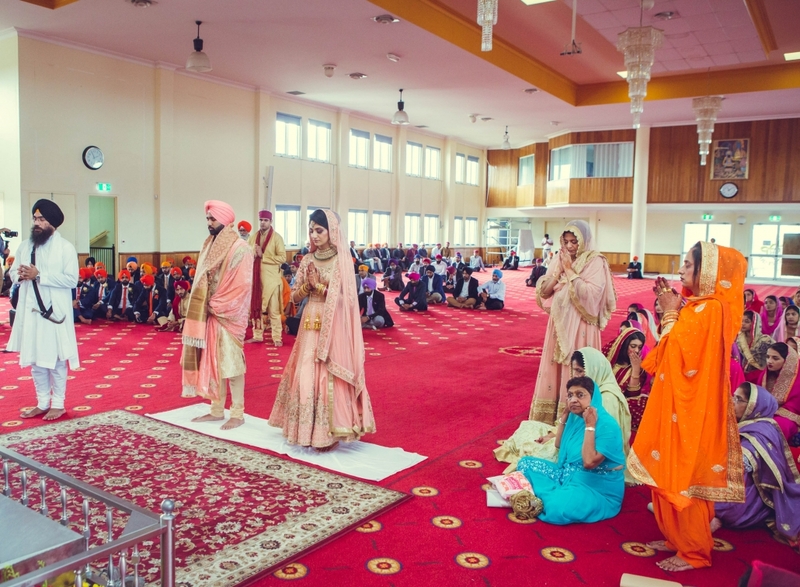 The bride tribe were dressed in pink, orange and red. 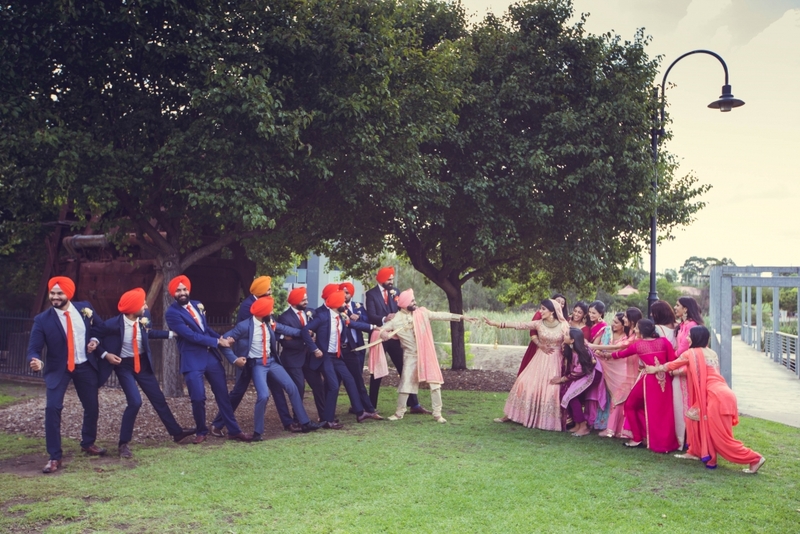 The groom’s party were all in blue with burnt orange coloured ties and turbans and a “ladkewaale” brooch. 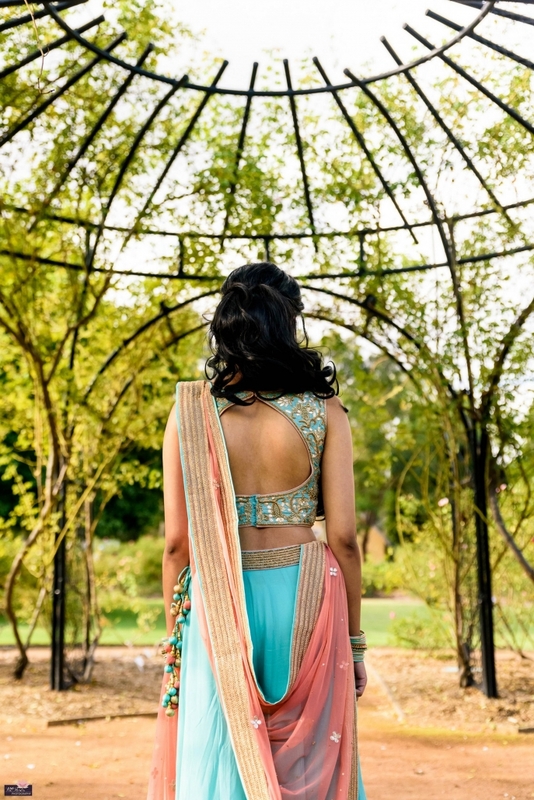 Tia reflects on her time during the wedding as being truly an eventful time. 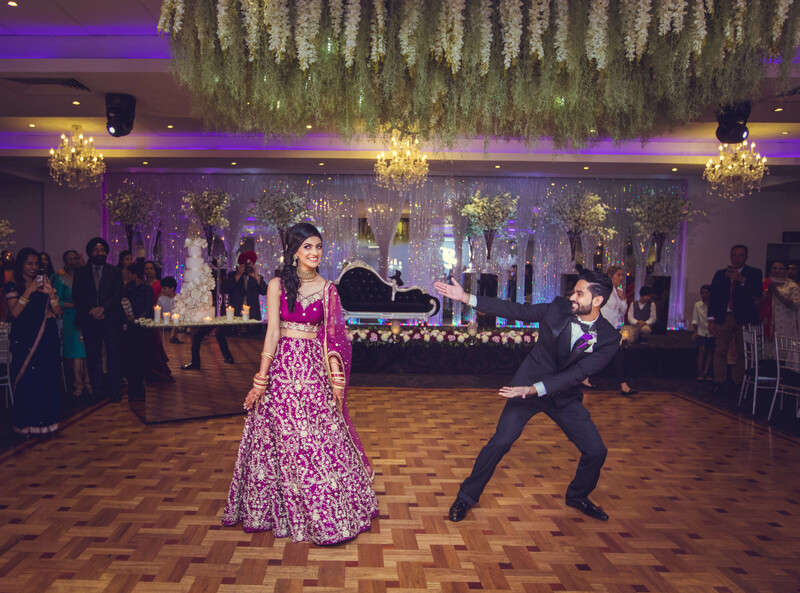 After a colourful wedding extravaganza, the two jetted off to Mexico and Bahamas for their honeymoon. 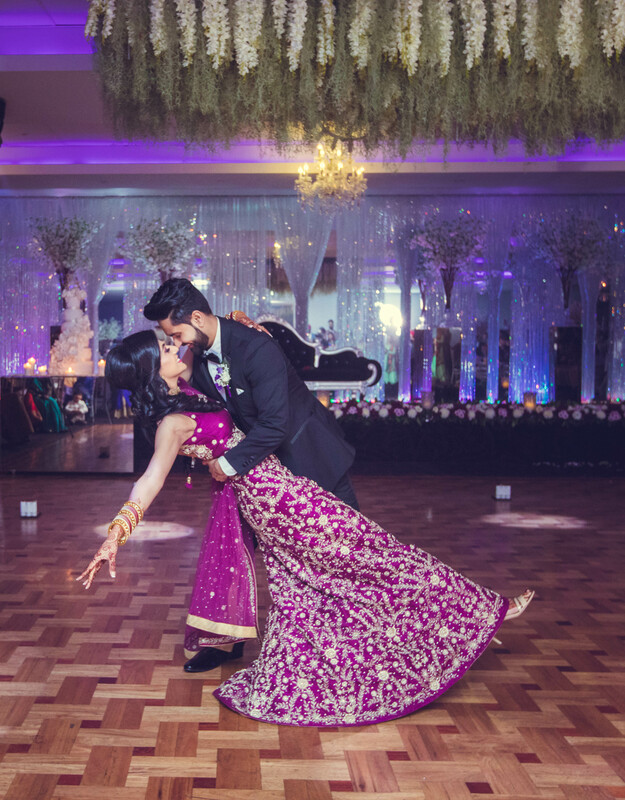 Last but not least, we love this beautiful piece of advice for future couples. 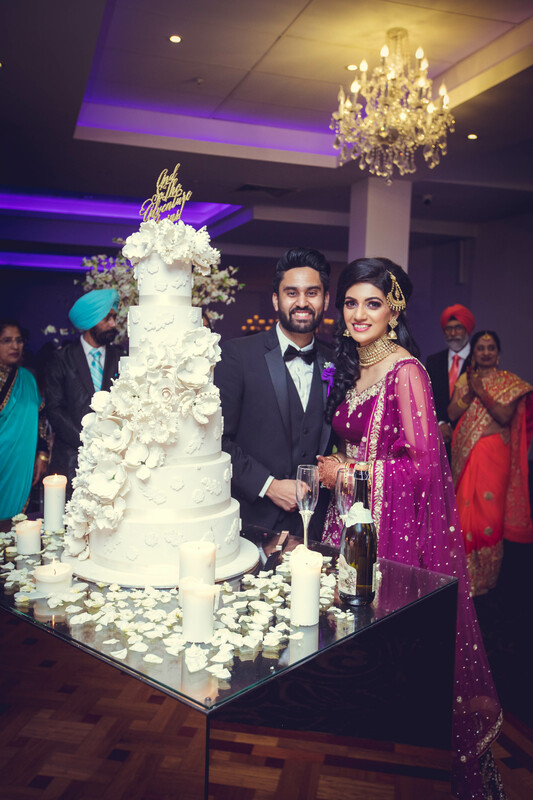 Thanks Tia and Gagan for sharing your beautiful wedding with us. 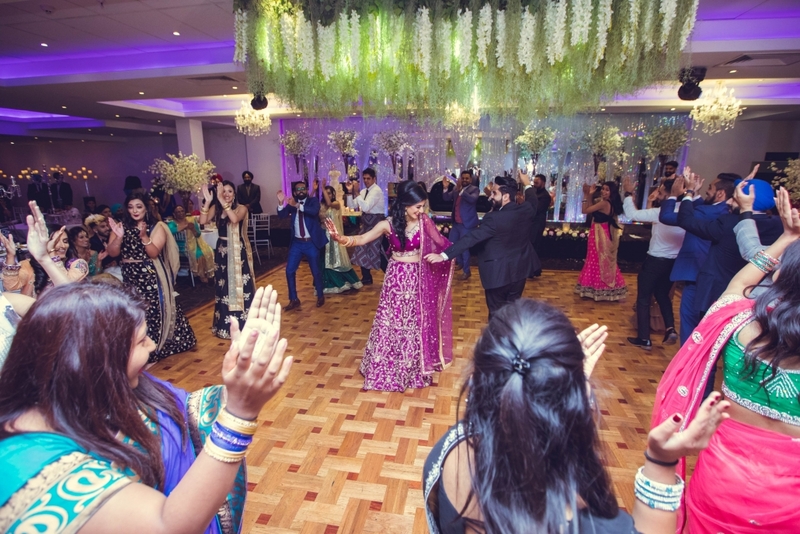 Remember, if you’re a maharani bride and want to feature your wedding celebration with The Maharani Diaries contact us here.